Melbourne’s St Kilda Mums, along with sister organisations in Geelong and Ballarat, has been internationally recognised as a tech leader in the Not for Profit sector, winning an award from a US app powerhouse. Canvas, a global leader in mobile apps for business, named St Kilda Mums, Geelong Mums and Eureka Mums the Ante Up Non-Profit of the Year. St Kilda Mums CEO Jessica Macpherson said technology was the lifeblood of the organisation, which restores and recycles second-hand baby equipment and donates it to welfare agencies. “We’ve embraced technology every way that we can,” Macpherson said. The Ante Up program provides the organisation with life-time free use of the platform, which the “Mums” use to run safety checks on the donated equipment. Macpherson said that using the cloud-based platform has allowed St Kilda mums to grow from five volunteers to more than 1,000. “Safety is the number one most important thing when it comes to passing on second-hand baby gear… you have to be incredibly rigorous, and it’s really technical stuff,” she said. “We use the Canvas app to run safety assessments on the pram’s and the cots and the high chairs and all the items that have mandatory standards. “And we build the apps ourselves, Canvas is the platform that you build the apps on, and… we can build and reference data – make and model and information about specific items and also update with the recalls. “The ACCC regularly puts out recalls and the app is one central repository of information that prevents our volunteers, no matter whether they are here or in Geelong or in Ballarat, checking something into stock that’s been recalled. Macpherson flew to Washington DC in January to receive the award and on Friday she met with Victorian Minister for Small Business, Innovation and Trade Philip Dalidakis. 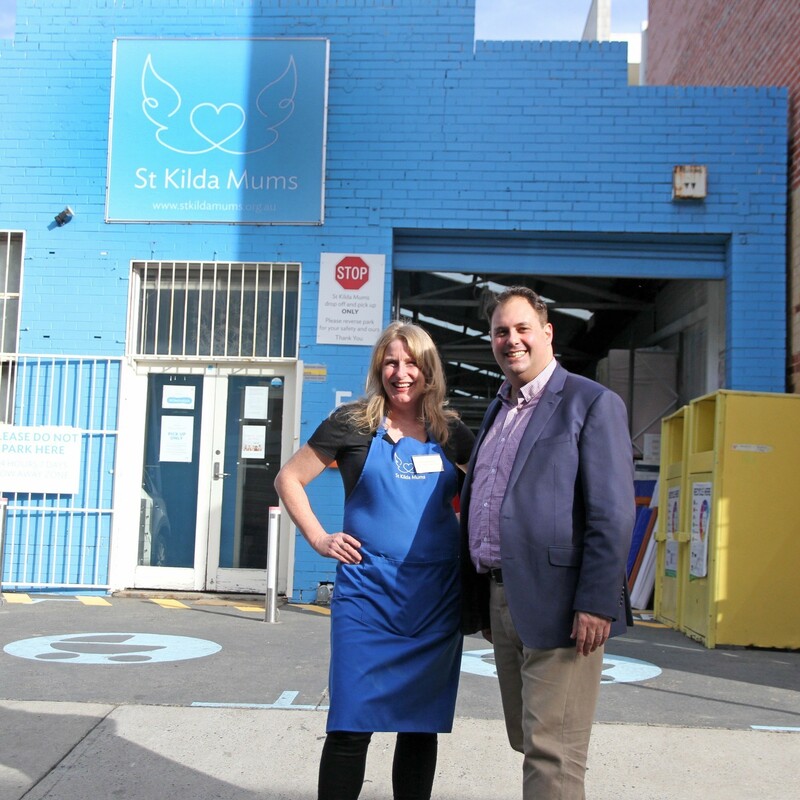 “The St Kilda Mums network makes an invaluable contribution to our community, saving usable goods from landfill and ensuring families that are facing hardship receive as much assistance as possible,” Dalidakis said.